Religion,conspiracy, Vatican teachings, all tangled in this web of control and deceit. This book takes conspiracy theories from Moses right through to global warming; all told from the viewpoint of an ordinary person whose life it changed. Forget all you think you know about life. This book reveals the way politics and organized religion have conspired to control the lives of ordinary people. Why did God threaten to destroy the world he had created, and what prevented him from doing so? Who indeed is God? Is the plan for mankind as straightforward as the Bible states, or is there a more sinister agenda? Why did the Vatican fund the `Rat Lines' to help prominent Nazi's escape? Who killed Pope John-Paul? These questions and many more are answered, as the world's greatest conspiracy unfolds. 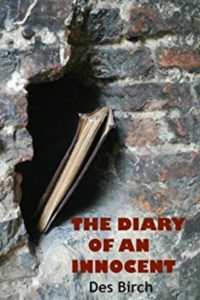 It is told through the eyes of an ordinary man who finds the diary of a priest. What he discovers changes his attitude to life. The (verifiable) information feeding these theories will shock people into re-thinking what they are told by the barrage of influences bombarding their everyday lives. I haven't come across many books that deliver this kind of depth and emotion with such aplomb. It is the kind of read that just pulls you in after a few lines. I got through the 'diary of an innocent' in a matter of days and felt that it really left an impression on me. The characterisation was spot on and the plot flowed at a steady pace. It's not often that I read and find myself holding my breath between paragraphs. My only real complaint would be that I missed it when I was done and will have to re read it many times. 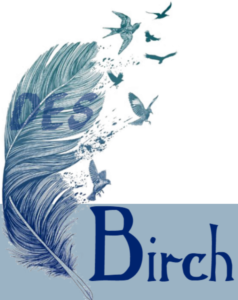 I hope that Des Birch has much success as I look forward to any coming titles this may bring. Believe the reviews, Lovely, Twisty and Confident.